The University of British Columbia and its library system are tremendous contributors to research, teaching and learning within the province, in Canada, and across the globe. Since joining UBC as the new University Librarian in the fall of 2017, I have been impressed by the expertise, energy and enthusiasm displayed toward students and faculty, and in the broader community. Our librarians, archivists and staff work diligently to ensure that the library is having the best possible impact for library users. We are proud of our commitment to Open Access and increasing our digital resources. 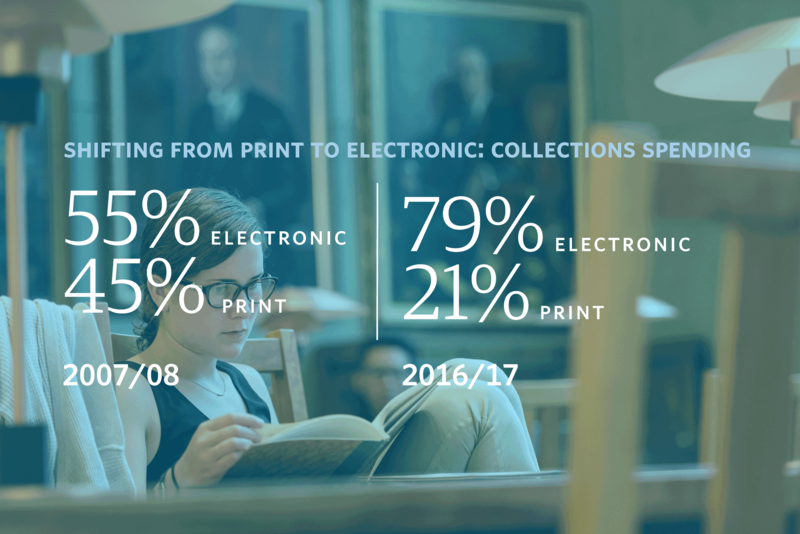 We are expanding our exemplary physical collections while continuing to invest in digital resources, giving researchers 24/7 access. We have also made great strides to enable student success through programmed student spaces like our new Centre for Writing and Scholarly Communications and the upcoming Koerner Library renewal project. Our links to the community are demonstrated through new initiatives, partnerships and collaborations. 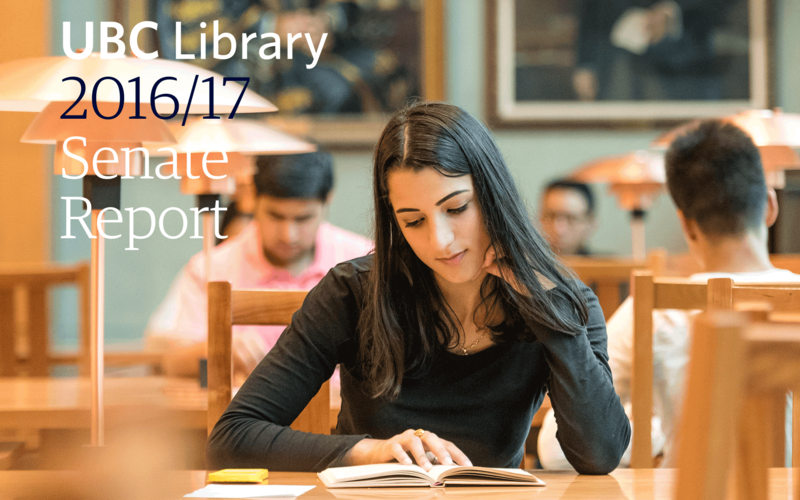 The amount of effort that goes into making UBC Library one of Canada’s top academic research libraries is more than can be captured in this document. We have selected some highlights and key data points to provide a snapshot into what 2016/17 looked like for the library. I am already looking forward to what’s in store for next year. Open Access is a movement encouraging the removal of barriers to scholarly research so that scholarly work is accessible to people everywhere. We demonstrate our commitment to Open Access through support for open access publishing, open education and text books, and the expansion of our Open Collections platform. We are now a member of the Open Library of Humanities’ Library Partnership Subsidy system. The Open Library of Humanities is an academic-led, gold standard open access publisher with no author publishing fees. They rely on support from institutions like UBC to help fund them in their mission to make scholarly publishing fairer, more accessible and preserved for the future. We partner with the Centre for Teaching, Learning and Technology to promote UBC’s open resources during Open Access Week, such as the library’s Scholarly Communications services, workshops and consultations. We also raise awareness for UBC’s open education repositories which allow educators to share, manage, and use education resources such as open textbooks, lesson plans, quizzes, videos and more. Acquiring the Kelmscott Chaucer: Our Rare Books & Special Collections acquires a copy of ‘the most beautiful of all printed books’— the Kelmscott Chaucer. Printed in a limited edition of only 438 copies, The Works of Geoffrey Chaucer was published in 1896 by William Morris’s famous Kelmscott Press. A joint acquisition by UBC Library and the Faculty of Arts, the Kelmscott Chaucer was purchased after two years of fundraising efforts. A new chapter in teaching excellence begins for the library with the acquisition of one of the world’s most extraordinary books. Growing our collections: We are the first Canadian institution to provide access to the South China Morning Post’s digital archives. First published in 1903, the English-language newspaper is a premier publication known for its authoritative, influential and independent reporting on Asia. The acquisition has a significant impact on UBC’s research in Chinese history, Hong Kong studies, British history, Imperial studies, Asian Canadian and Asian Migration studies as well as Vancouver history. Library users now also have access to the digital Loeb Classical Library to browse, search, bookmark, annotate and share content across more than 500 volumes of Latin, Greek and English texts. The new digital interface allows users to engage and more easily interact with the material, greatly enhancing their learning experience. Shaping spaces to support learning and research is a core activity of the library. We see more than 3.2 million visits across our nine buildings in Vancouver each year. Transforming spaces to meet student and faculty needs is a critical component for their success. Significant upgrades are made to the third and fourth levels of the Irving K. Barber Learning Centre including new flooring, added study spaces, improved lighting, upgraded furniture and additional electrical outlets with USB chargers. Upgrades to Woodward Library’s front entrance improve accessibility for visitors with limited mobility and provide a new space full of natural light, boasting 33 new study spaces plus a room designed for librarian consultations with student and faculty researchers. Responding to researcher needs: We are committed to supporting graduate student research and collaboration across disciplines. Phased renovations to Koerner Library levels four and five will meet an identified campus need for dedicated learning and collaborative spaces for graduate students and researchers. The new area will feature technology-rich, inviting spaces integrated with services conducive to graduate scholarship and advanced research. Helping students succeed with writing support: In its new home at UBC Library, the Centre for Writing and Scholarly Communication offers services in the Chapman Learning Commons, located on level three of the Irving K. Barber Learning Centre. The Centre provides free support to writers at UBC, offering undergraduate and graduate student support at all stages of the writing process whether they are struggling with their assignments or are confident writers needing a second pair of eyes. The most popular service is the one-on-one writing consultation. Peer writing consultants are trained to support students from across a variety of disciplines to improve their writing, shape their writing process and set students up for success. A full schedule of events and workshops help students develop better academic writing habits, learn how to keep their thesis-writing on track, and practice strategies for writing the Language Proficiency Index Exam. Our Irving K. Barber Learning Centre joins the Making Research Accessible Initiative as a funding partner and contributor. The initiative, which improves access to academic research and community-generated materials in Vancouver’s Downtown Eastside and benefits from the library’s foundational work in securing open access copyright permissions. This enables post-print articles to be openly accessible through our digital repository, cIRcle, and ensures access to more than 150 scholarly articles and community-sourced historical material from the Downtown Eastside. Connecting with Indigenous communities: Our Indigitization grant program awards almost $70,000 to support digitization of Indigenous cultural heritage audio cassettes from across BC. The program hosts a special dialogues event, the Indigitization Futures Forum, which connects current and former Indigenous participants with university and community experts. More than 100 participants from western Canada gather to address post-digitization practice and policy questions in Indigenous contexts. Through discussion panels, workshops, and a community event with Musqueam First Nation, the Indigitization Futures Forum allows us to hear from practitioners about how to shape the direction of the program, including the development of additional tools and training for different media formats. Introducing a new community borrower card: Our new Aboriginal Community Borrower Card provides Indigenous peoples living in Canada access to basic reference services and on-campus access to our collections free of charge. The Aboriginal Community Borrower Card program is one of our responses to the Calls to Action from the Truth and Reconciliation Commission findings in 2015. By connecting and engaging with communities and community partners, the library enables dialogue and contributes to the economic, cultural and social wellbeing of the people of BC and beyond. Our Asian Library pilots a ‘living library’ in partnership with the Pacific Canada Heritage Centre - Museum of Migration. Making people, rather than books, available for checkout, the event brings together four ‘human books,’ distinguished individuals who have Asia-related experiences or who have made an impact in the Asian-Canadian community. Students, faculty, staff and community members gather for a night of intercultural dialogue. Participants gain a deeper understanding of the social diversity within our local and campus community, establishing the library as a place to learn, exchange ideas and forge new connections with community members. Rare Books and Special Collections and our Music Art & Architecture Library collaborate with the Vancouver Symphony Orchestra to create programming to enhance audience engagement at VSO performances and to increase public visibility of UBC Library collections in the wider Vancouver community through two key programs, the Canadian premiere of Harry Potter and the Philosopher’s Stone™ in the summer of 2016 and Stravinsky’s Rite of Spring in the fall of 2016. During the collaboration, exhibitions with complementary UBC Library collections to VSO programming are displayed in Vancouver’s historic Orpheum Theatre for audience members to enjoy before and after performances. Following the VSO performances, exhibitions are displayed in the library’s Rare Books & Special Collections to extend the exhibition and draw community audiences from downtown Vancouver to UBC’s Point Grey campus. UBC Okanagan Library highlights: Our UBC Okanagan Library secures a $35-million investment to establish a new Teaching and Learning Centre connected to the library and fund infrastructure upgrades. Donors invested an additional $80,000 in the Inclusive Technology Lab which offers collaborative group workspaces with ergonomic furniture, a distraction-reduced study room and a computer lab with specialized software. Other highlights include the coordination of an Okanagan campus records management initiative, hosting the annual Leader in Residence program, and launching its first two digital collections, the Archibald Murchie Collection and the George Meers Collection. 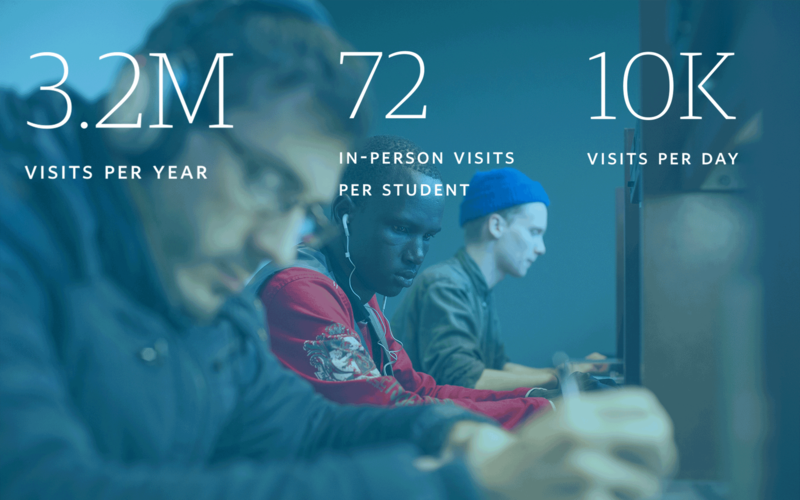 Find out more in the 2016 Report to the UBC Okanagan Senate. I would like to thank the many contributors to this report and those who contributed to its development and production.